About 700,000 Rohingya fled to neighboring Bangladesh after the crackdown began last August, and Myanmar's army has been accused by rights groups and U.N. experts of committing massive human rights violations amounting to ethnic cleansing, and possibly genocide. The two Reuters reporters had been investigating the killing of 10 Rohingya by soldiers, police and Buddhist civilians. In a rare instance of security forces being punished for extrajudicial killings, Myanmar's government announced later that seven soldiers had been sentenced to 10 years in prison with hard labor for the killings. 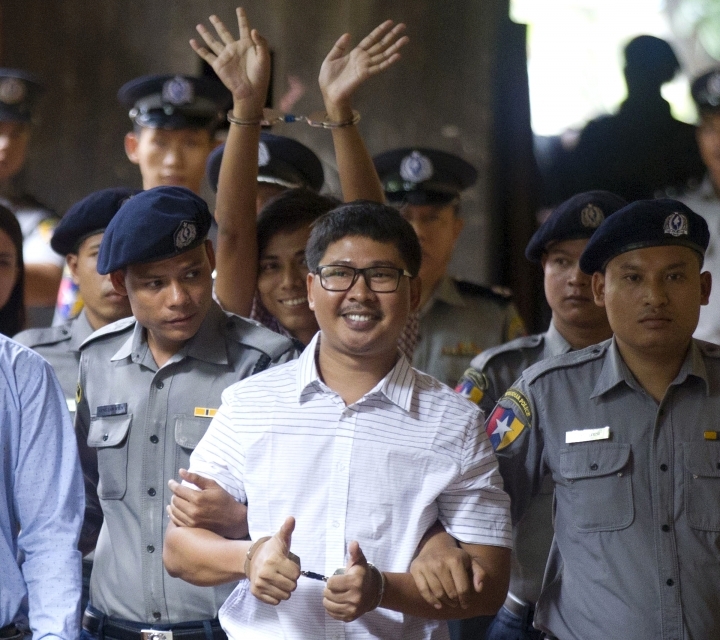 "Sending these two Reuters reporters back to jail for another week just because someone else can't read an already written verdict shows again how both common sense and justice is failing in Myanmar's judicial system," Phil Robertson, deputy Asia director for Human Rights Watch, said in a statement. "These two reporters should have never been put on trial in the first place because all they were doing was their jobs as journalists but apparently the government is more interested using this trial to intimidate the local media than anything else." The case has dissipated hope for a new era of freedom of expression under the government of Aung San Suu Kyi, whose National League for Democracy party came to power in 2015 after five decades of military control. 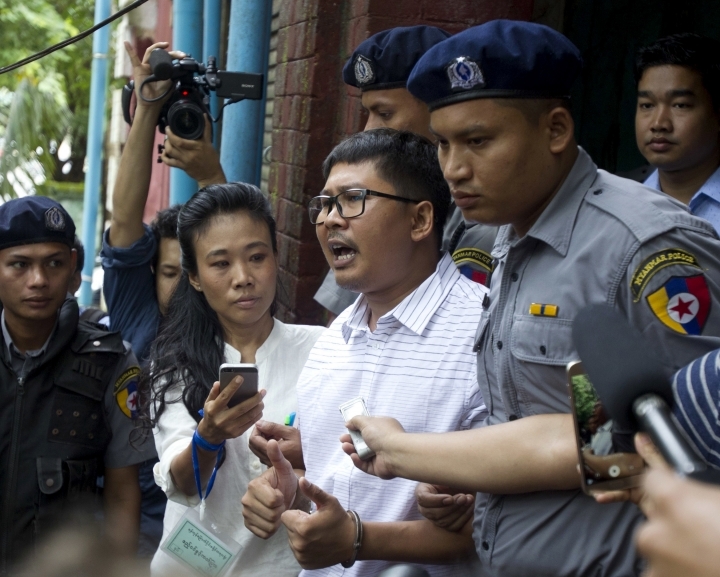 The case of the Reuters reporters is only the latest under Suu Kyi's administration in which the courts have aggressively pursued legal charges against dozens of journalists, along with other attempts to suppress and discredit the media. Earlier this month, U.S. Secretary of State Mike Pompeo called on Myanmar to immediately release the two reporters. Pompeo tweeted that he raised U.S. concerns about their detainment when he met with Myanmar officials on the sidelines of a regional gathering in Singapore.